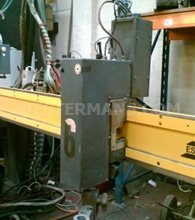 ESAB are probably one of the leaders in hand and mechanised cutting machinery. 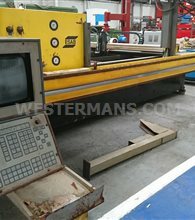 We buy and sell new, used and refurbished ESAB cutting equipment. ESAB is a top quality, reliable brand built to last. 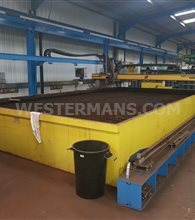 For over 20 years we have been selling used ESAB gas and CNC plasma cutting systems. 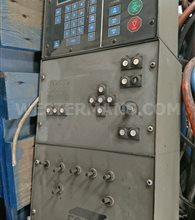 If you are looking for a cost effective way of cutting plate, why not look below at the machines in stock, many of which can be bepsoke to you depending on your budget. 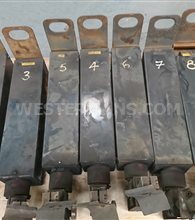 To ensure longevity of any ESAB profile cutting system we stock spares and parts, supply consumables and provide operational manuals for the majority of ESAB machines made over the past few decades.Want a great value machine at a fraction of the cost of new? 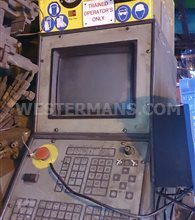 Our ESAB cutting machinery can be refurbished to order. Extended Warranties and Service Packages available. Ask for more details when you call us. Not sure whether to purchase or hire? Ask the Hire Team for competitive prices on short and long term rental. The ULTRAREX UXB is a technically perfected coordinate blow-torch machine for oxy operation with integrated photoelectric template scanner that allows the easy generation of random shaped cuts in material up to 200 mm thick. The Ultrarex UXC is precise, fast, flexible. As a state-of-the-art coordinate blow-torch machine with photoelectric template scanner, the ULTRAREX UXC sets standards in terms of equipment and performance. The ULTRAREX UXL portal cutting machine is a compact example of economy, efficiency and reliability. It has proven itself wherever a wide range of different cutting problems have to be solved with a low investment. You can choose between a plasma or oxy torch or the combination of plasma and oxy cutter. Alpharex AXD The Alpharex™ is a large gantry laser cutting machine designed to quickly and economically cut large workpieces with either straight cutting or 5-axis bevel cutting. Combirex DX The Combirex DX is a high-performance plasma and oxy-fuel cutting machine for quality production cutting on sheets up to 3 m wide. 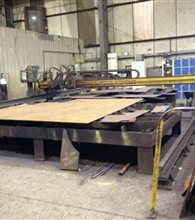 E-VENT A turnkey CNC plasma cutting machine, the E-VENT can be quickly integrated into an automated production process. NUMOREX A heavy-duty, robust cutting machine, the NUMOREX™ is designed to work in extreme loading conditions. SGX Compact, Automated Machine for Plasma and Oxy-Fuel Cutting. 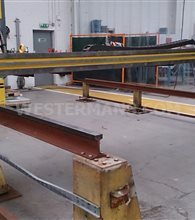 Performance and accuracy are assured with a heavy steel beam, precision machined mating surfaces, and linear rail. SUPRAREX HD The SUPRAREX™ HD is a powerful and extremely durable gantry cutting machine with impressive positioning speed. SUPRAREX SXE BIG The SUPRAREX™ SXE BIG offers great performance for large formats. With two transverse motor carriages it can process two workpieces simultaneously in just one step. TELEREX The TELEREX™ expands the ESAB range of cutting machines in terms of size and performance. TELEREX TXB The Telerex™ cutting machine is designed for large working areas requiring fully automated bevelling, primer removal, or marking processes.